Typography: Ordo ab Chaos - Order by the Chaos (The latin phrase that I was always thinking about). Render by : Matorant - Other website - If you found it, please Warning me! Composition: I worked with different kinds of Brushes, such as: spider web, branch, light brushes, letters, kanjis, grunges, arrow, birds and skulls. The others ones effects on the Wallpaper was made by textures of old papers, old engraving, light textures and pattens on colors layers which I mixed with blur effects, but I don't worked with many filters on this wallpaper, because I'd prefered work with one only for make better the quality of the scan. 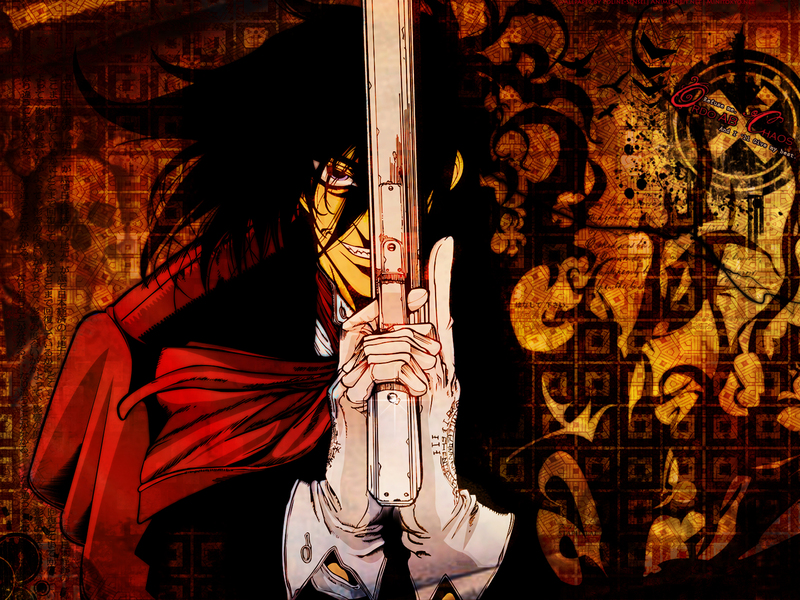 I used vectored art only in the clothing of Alucard. If you see some wrong on this Wallpaper, please warning me! Comments are so important to me! Cooool! Desktop Cooooool! Excellent Job! Thanks, Thanks Godlike! It's an interesting take on an overused image. I like the symbols the best.